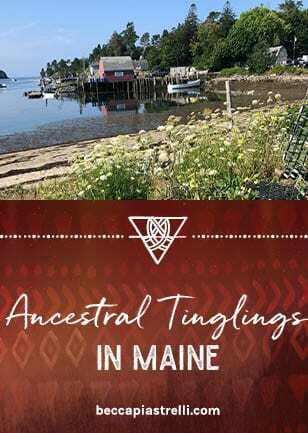 It was important for me, as a European descended woman with ancestors who first settled Abenaki land now known as Maine, to set foot on this land and be with all that came up for me. I wanted to walk in the homes my ancestors built, eat the foods of that place, talk to the locals, smell the wildflowers, and feel the presence of the people I am descended from whose bones are buried there. I also wanted to fully feel the impact of the parts of me that play (and still play) the colonizer in this system we live in. It was a big intention and, as much as I had visioned and dreamed about what it might be like, I went into this journey with an open mind and an open heart—welcoming whatever was meant to happen for me there. I’ve had to check in with myself a few times before writing this post to figure out what memories of this trip will remain sacred between my mother, my aunt, and I, and what feels important and able to be shared with you. Like any other trip, there were moments of mediocrity and bad traffic in addition to the moments of joy and relaxation and delight. What I want to share with you today are the moments I got those little ancestral tinglings, where I felt parts of my ancient self awaken and feel more deeply connected to the places and people I am descended from. Our first night, my mom, aunt, and I each ordered lobster (fresh from the sea outside our little rickety restaurant window) and all our eyes lit up with excitement. This was going to be something very special. When the lobsters arrived at our table, steaming on their paper-lined plates with little bowls of clarified butter next to them, my mother transformed into an otherworldly creature who knew exactly what she was doing. She proceeded to proudly explain the way you eat a lobster while my aunt shared her own knowledge of lobster flavor and shell thickness and how they are affected by the temperature of the sea and what the weather has been like that year. It was such a magical experience that brought tears to my eyes. 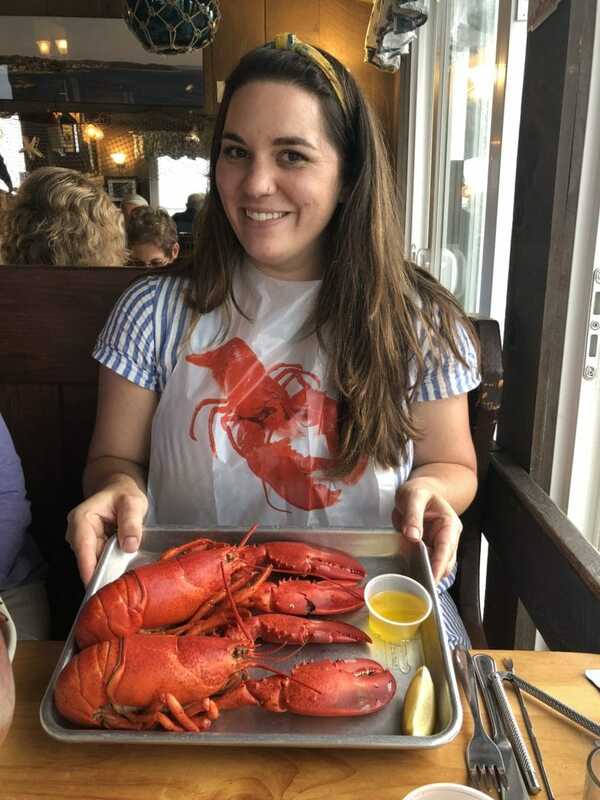 As we ate the lobster, giggling gleefully the whole time and moaning with pleasure at the flavors hitting our taste buds, I realized just how powerful ancestral food can be on memory and feelings of home. Food has the power to awaken parts of us we didn’t even know were there. 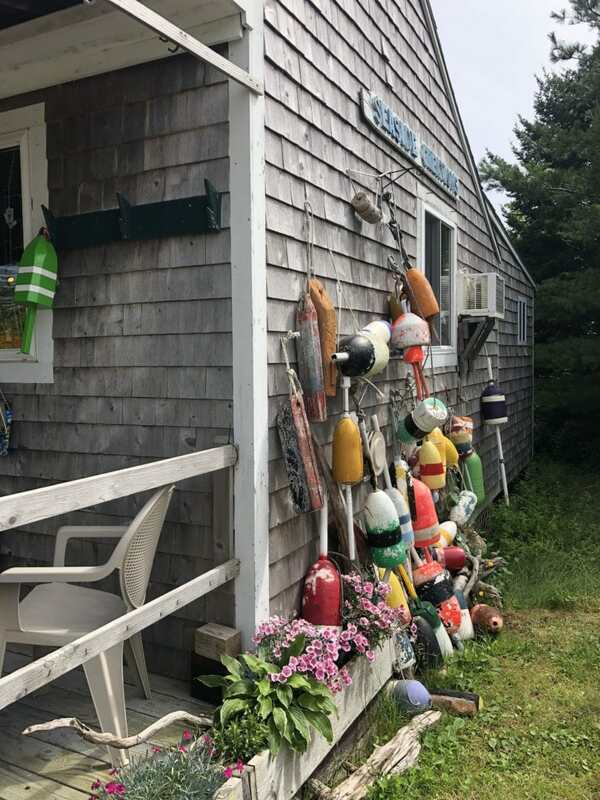 We spent the rest of the week ordering lobster at least once a day and stopping to talk to the servers, cooks, and fisherman about the lobster catch that summer and the importance of lobster to Mainers. Even writing about it makes my whole body come alive with joy. When I found out there was a small cemetery on the island my ancestors spent summers on, I insisted we visit it. My aunt had visited it once before and knew just where our family’s little plot was in the back left corner of the space. I made a beeline straight to the Root corner and introduced myself to each of my kin buried in the earth there. We spent a good while walking around and reading the names on the gravestones—marvelling at the names and how they’ve changed over time. We would divine stories from the small amount of words written on the stones and the ages of the dead when the passed. 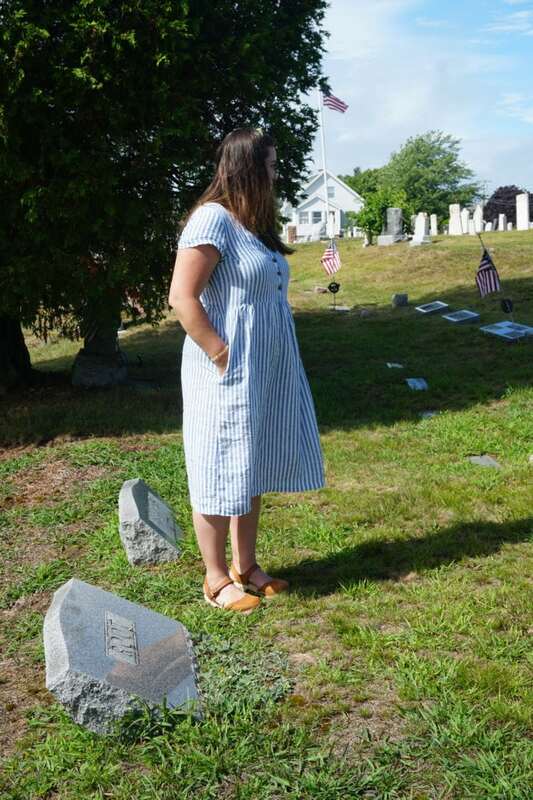 My mom kept finding many gravestones of babies buried soon after birth, leading us to a powerful conversation about living in a time when it was more common to experience such loss. Growing up, I was taught to feel afraid in graveyards. Too many scary movies made me think that being near the bodies of the dead meant something bad or wrong for me. But in my own ancestral connection work (and study of indigenous ancestor worship around the world), I’ve come to really love being in graveyards. It is a place to commune with ancestors and honor their stories, knowing their bones are resting deep within the earth in eternal time. This was an unexpected and hard moment of the trip. 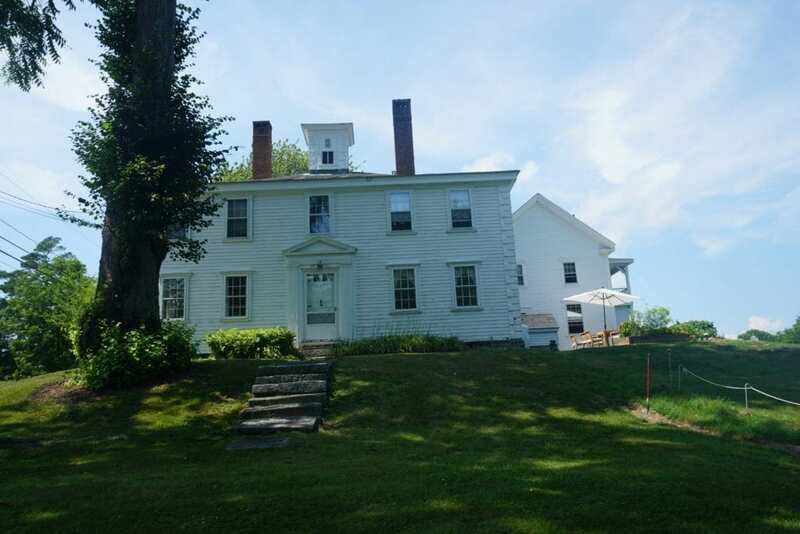 Through my mother’s amazing genealogical research, we figured out that one of the oldest houses in Maine was built by an ancestor of ours and was just an hour’s drive away from the little island we were staying on. We knew we had to go there and see it for ourselves. The house was old and fascinating with incredibly preserved wood floors, the old hearth fire still standing in the kitchen, and an upstairs with a slanted floor that made us feel a little dizzy. We walked from room to room until we got to one of the sitting rooms with a large book on the coffee table. My mom picked it up and started reading until she got to the section that detailed the age and genders of every single enslaved person owned by this man….our ancestor. As my mother read, I felt sick to my stomach. Tears were streaming down my hot cheeks as she read aloud. “Last week, when I was in Maine—the land my matrilineal ancestors settled as far back as the 1600s—I finally faced a painful truth. I am descended from a family line that enslaved people for 5 generations. I visited the house where they lived and worked in the town where they built the famous ships that helped their captors win the American Revolutionary War. I sat in the house and listened to my mother read off the ages and genders of these enslaved people, one of them a 12-year-old girl. I wept in grief, not trying to rationalize that it was “what they did in those days” or that these people are dead and their vicious, colonizing ways died with them. I simply sat in the truth I finally knew for sure—some of my ancestors played a part in the subjugation of Black America. It was a very hard truth to sit with. My heart felt raw and my head was spinning. I wanted to run away and pretend I never found out this information. But instead, we all sat together while I cried and talked about it. My mom and aunt shared about the racist comments they grew up hearing in their family. They talked about how the times have changed and how eventually their parents stopped speaking that way. I talked about my anger that we still live in a culture of white supremacy that doesn’t treat black and brown people with the same respect and privilege that we have. We looked straight at it, together. It stung and I hated it but I’m still standing and know in my bones I can and will do better because of this knowledge. My maternal grandmother is someone I have been working with for the past year in my own ancestral connection work, ever since I had a powerful vision during a fire scrying experience last autumn (I know...it sounds wild...it was amazing). Her name is Anne and she had such a complicated life. I was always a little afraid to be around her as a child but couldn’t take my eyes off her, particularly when she was laughing or telling a story. 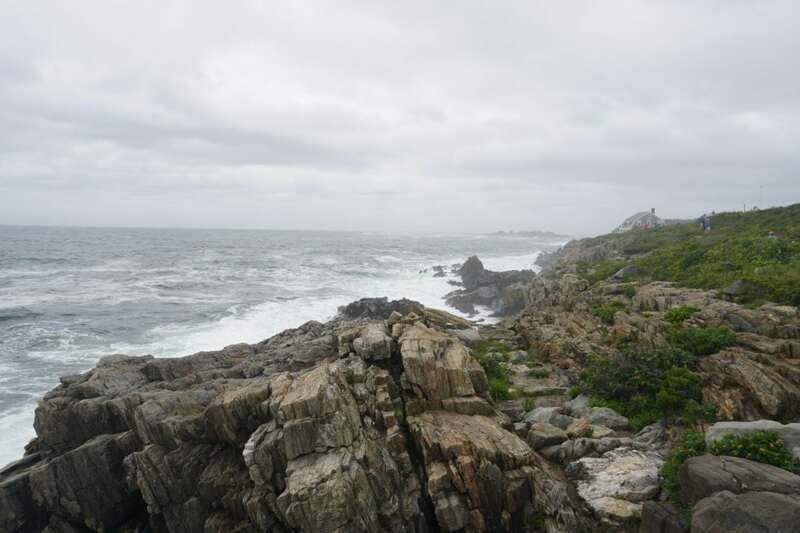 She passed on when I was in my early twenties, and my aunt scattered some of her ashes into the wild sea near some stair-shaped stones on Bailey Island in Maine. As soon as we parked our car at our rental house, my mom and aunt wanted to go to those stone stairs and visit their mom. I walked behind them, delighted by their excitement and joy, noticing the summer wildflowers lining the path and listening intently to the memories that were bubbling up as they made their way to the stone stairs. The pure joy and elation of that moment, communing with an ancestor of ours...it’s a memory that will never leave my being. My whole body relaxed into it and I laughed alongside them as the waves crashed beneath us. I felt the sea working my hard edges with each swell of the water—knowing my grandmother’s cells were mixed into that sea. She lives on in every tide, crashing her waves proudly, reminding us to never apologize for the brightness of our lights. These ancestral tinglings were not necessarily ones I expected to feel at the times I felt them. I think that’s an important thing to remember on your ancestral connection journey to be open to what comes through for you. To trust yourself that, whatever comes up, you have the capacity to process it and integrate it into your being for deeper healing. Any other questions about my experience or want to share your own? Pop them in the comments below and I’ll be happy to answer and chat. I love this post. Genealogy is one of my passions and I’ve always wanted to do a trip (or trips) to visit my ancestral places. I have ancestors from the East coast as well from the 1600s – Connecticut & Massachusetts, and I can’t wait to visit. I also fairly recently discovered that I am descended from slave owners. To make reparations I plan to do whatever research I can on who the enslaved were that my ancestors owned so that their descendants can know their ancestors. Wow that’s a big and important task you’re taking on, Mary. Thank you for doing it. how lucky you are to have family interested in exploring your past with you. Not everyone has that luxury and is a battle we fight on our own. Yes I hold a lot of privilege in my ability to access this information. I feel these tinglings too. Twenty-two years ago my husband and I moved from Nashville, TN with our 3 children to Loveland, OH because of a job transfer. It felt comfortable and homey. I felt rooted. Cincinnati has strong German and Irish roots with lots of Tall Catholics. My husband being 6’4″ would always comment how he felt like he was among his people. I felt left out. Four years ago I commenced a spiritual awakening and coincidentally started dabbling in genealogy. My father never knew his father, so I was on a quest. What I unearthed was a German and Irish family that was living in Victorian village, Columbus, OH. Armed with a letter from my grandmother tucked in a family bible I was able to piece together information from Census records that placed my grandfather as an older teenager living in Columbus with his parents and five siblings. My oldest son was currently living in Columbus as a medical student at OSU. When I googled mapped the address from the census record, it revealed this little Victorian house was across the alley, literally a stone’s throw, from where my son was living! I truly was among my people, a family lost from dinner table tales. 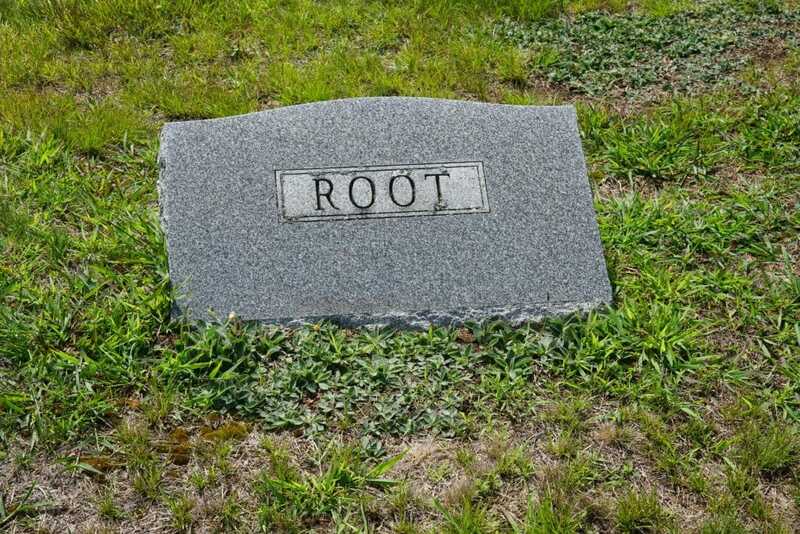 For Mother’s Day, my son sent me pictures from my great grandparents’ grave sites in Columbus. Haven’t found the resting spot yet for my grandfather. You’ve inspired me to visit and visit other significant family locales. Roberta! What a truly magnificent story, thank you so much for sharing it. I love how you took it upon yourself to piece the stories together to find your way back to your lineage. Beautiful.